On the surface it all looks so neat and tidy, but pull open a drawer or take a hesitant peek into a cupboard and it will tell you another sordid story….perhaps you can relate and have those cupboards too? So the day came where i felt like i couldn’t operate in my office because it was swelling with all the “things” i “needed” to do the work! But, I’d open a drawer and I couldn’t even find a pen.What’s the work? What do i really need for the work? 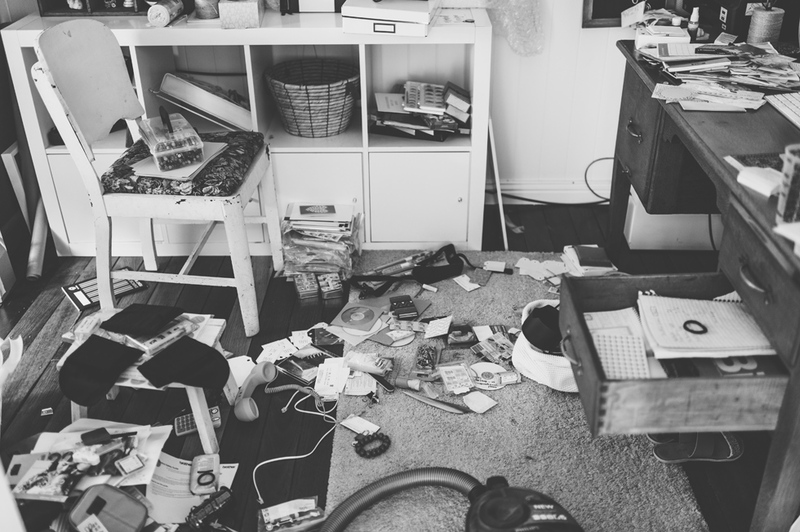 So Jess….ahem…I mean Justin is a little disorganized, (I wouldn’t be so drastic as to say hoarder but some days it feels that way) obviously hasn’t watched that Minimalist documentary on Netflix yet…. probably too busy organizing her, I mean his, stuff to get to it. “Tidy up Office” it’ probably written on a to-do list in one of the 15 notepads found in the office drawers! Anyway, on this day, every.single.item.came.out.of.every.single.drawer. I was so over it and after going through my wardrobe and both of the girls wardrobes AND the linen cupboard the week before (I’ll be a minimalist one day you just wait and see) it was time to attack my office. And attack I did, I got rid of a lot of stuff, so much so I got rid of an 8 sectioned book case! Apparently this style or sorting my life out was modus operandi when I was younger too – wait for it to become a disaster, then tidy to within an inch of it’s life. Perhaps I just don’t have time for being neat and organised because there are so many other exciting things to do with ones time……like scroll Instagram perhaps? mmmmm, maybe not, but I do find lack of it being a priority an issue – I would much rather a) spend time with my girls b) exercise c) see a friend d) go on a date with my husband e) read a book f) write a poem g) shave my legs h) basically anything really……..
And so, for now, everything is in it’s right place, just like Radiohead told us it was.